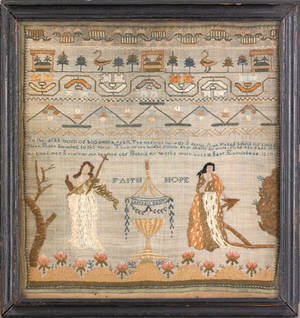 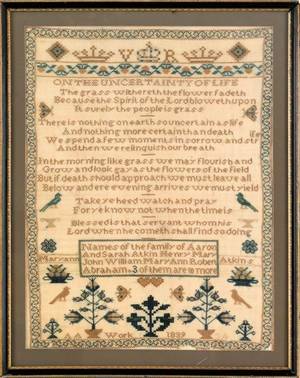 Bethlehem Moravian Seminary silk on silk memorial needlework, ca. 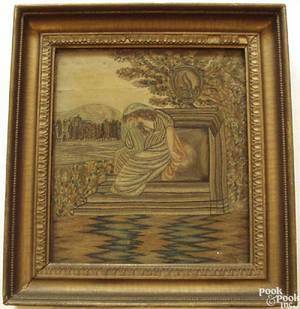 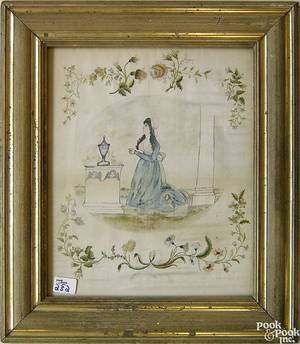 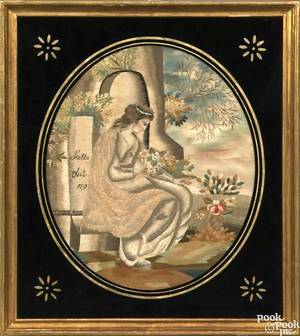 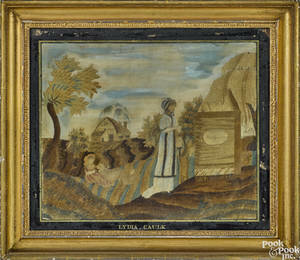 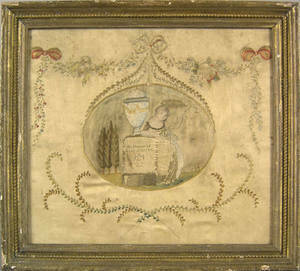 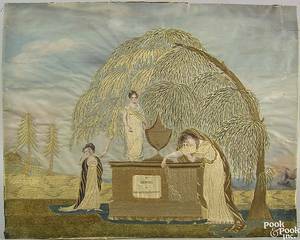 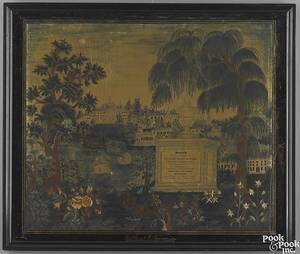 1815 , "To the Memorial of Jane Shippen/She rests in peace", the central oval landscape with a young girl holding a wreath next to an urn surmounted by wreaths and floral swags, 13" x 14 1/2". 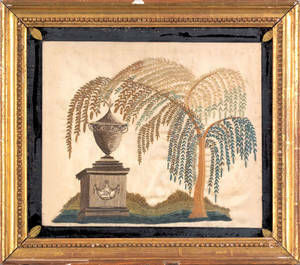 American silk, chenille, and paint on silk memorial needlework, early 19th c.
Massachusetts silk and chenille on silk memorial needlework, early 19th c.
Silk, chenille, and paint on silk memorial needlework, early 19th c.
Silk and paint on silk memorial needlework, 19th c.